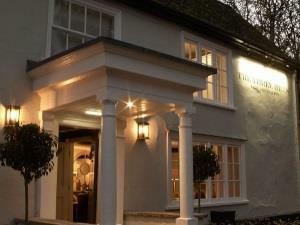 The Three Hills07734944518work Restaurant with RoomsThe Three Hills Pub is a delightful 17th Century Grade II listed building located in the heart of Bartlow, approximately 14 miles from Cambridge and 7 miles from Haverhill. Originally opened as an alehouse in 1847, The Three Hills is the only remaining pub and community facility in a small village of only 110 residents. The pub got its name from three hills or Tumuli, ancient burial mounds originally part of a seven mound group which are considered to be the largest in Europe. The Three Hills has seen many changes of ownership and has enjoyed periods of both huge success and dismal failure. Chris and Sarah Field bought the pub in December 2015, and following a lengthy planning approval process, finally got the green light to remove all the unattractive post war modern aspects of the building and begin the process of restoring the pub to its former glory as a traditional village pub whilst extending it to provide for new dining facilities and a beautiful pub garden which goes down to the river. Each of the four existing bedrooms has been lovingly refurbished and we have created two new bedrooms upstairs in the pub. Our kitchen has been completely refitted with the latest in cooking technology. Our new snug/library is the perfect haven for hiding out on a cold winter’s evening in front of the roaring log fire. A brand new orangery provides the much needed dining space and can be reserved for private parties. An extensive patio and beautifully landscaped garden completes the refurbishment and provides for wonderful outdoor dining during the warmer months. The Three Hills Pub is a delightful 17th Century Grade II listed building located in the heart of Bartlow, approximately 14 miles from Cambridge and 7 miles from Haverhill. Originally opened as an alehouse in 1847, The Three Hills is the only remaining pub and community facility in a small village of only 110 residents. The pub got its name from three hills or Tumuli, ancient burial mounds originally part of a seven mound group which are considered to be the largest in Europe. Food/bottle warming available. Bar. Serves breakfast. Ground floor rooms available. Suitable for families, single travellers, young people, senior citizens, business travellers. Children welcome from any age. Exiting from the M11 J10, take the A505 to Saffron Walden & continue until it merges into the A11. Branch off left & at roundabout take the 3rd exit onto the A1307. Carry on through Linton & turn right at the Bartlow crossroads. Turn right in Bartlow & the pub is 200 yards on the left. The nearest stations are Great Chesterford, Audley End, Whittlesford, Cambridge and Dullingham.